Chuck Berry has continued to perform on a regular basis here in St.Louis at a place called Blueberry Hill, located in our world famous Delmar Loop. The Beach Boys even wrote new lyrics to a Chuck Berry song, "Sweet Little Sixteen," and turned it into "Surfin' USA." 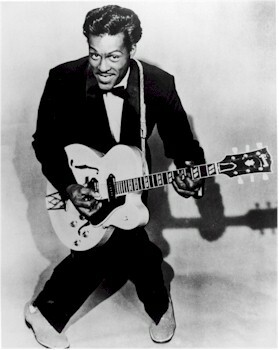 Chuck Berry was also a big influence on the Beach Boys as they wrote music that was similar!